Norrbotten Big Band - highly acclaimed by Swedish and International Critics alike - is unique any way you look at it. The home base is in Luleå, up North Sweden. A wee bit south of the northern Arctic Circle. Probably making NBB the northernmost professional Big Band in the world. A regional force with the ambition to conquer the world. On their way to succeed. "A big band of world renown with few equals when it comes to innovation and openness". A quote from Swedish jazz magazine Orkesterjournalen and a review of NBB´s latest album "The Avatar Sessions" recorded in New York 2009. An album summing up the 15 year long NBB "love affair" with American trumpeter/composer Tim Hagans. One of the pieces in fact nominated for a Grammy 2011 as "Best Instrumental Composition". 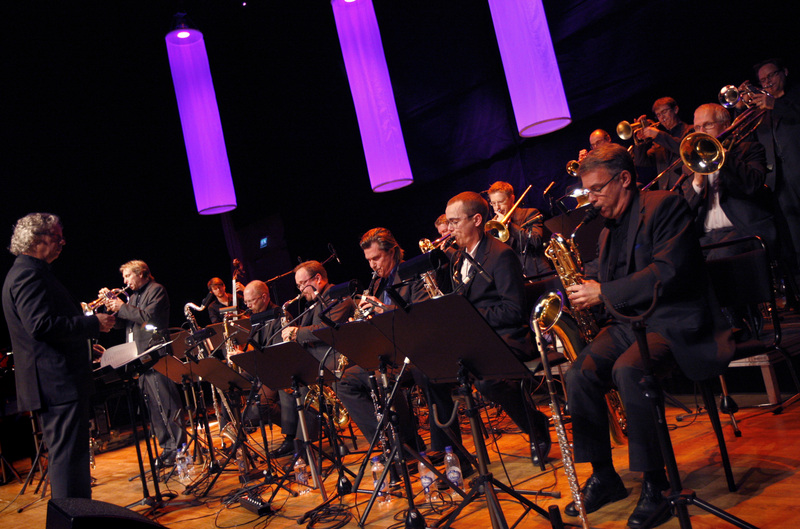 The Norrbotten Big Band story begins long before Tim Hagans, already in the late 1980´s. 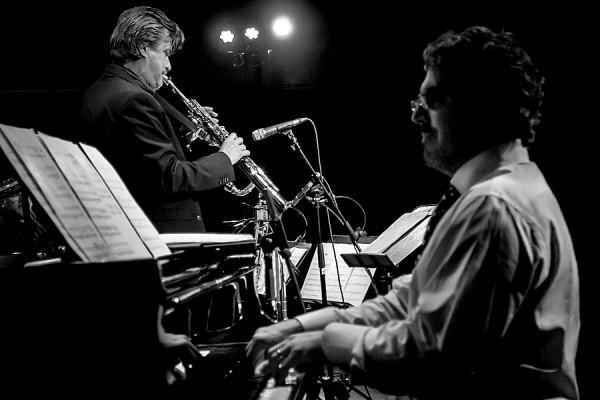 Their transition from a regular big band to a fulledged jazz orchestra for musical adventure and new music started with their first artistic director, the visionary jazz composer Örjan Fahlström. When he handed over the baton to Tim 1995 they had already made music for Organ and Big Band, "Animations", music for a Silent Movie "The Witch" and remarkable music for voice and big band with the lyrics from Shakespeare's Macbeth "Lesser than Macbeth, and greater" and much more. So they were well prepared to meet the future. It was on the agenda. Their first collaboration with Tim Hagans, 1996, was actually Tim's "Future North" soon followed by "Future Miles" and further looks into new big band territory involving drum and bass, hip hop and you name it. There has been a lot of cutting edge over the years even a successful collaboration with e.s.t just at the time when that groundbreaking piano trio made it big on their own. The list of who's worked with NBB over the years is as long as it is diverse. The Avatar Sessions portrays part of that through Tim Hagans music composed for Peter Erskine, David Liebman, Joe Lovano, Randy Brecker and Rufus Reid. There have also been collaborations with Maria Schneider, Carla Bley, Toots Thielemans, Kurt Elling and Dee Dee Bridgewater and more. Not to mention all the Swedish musicians like Nils Landgren, Viktoria Tolstoy, Rigmor Gustafsson, Ann-Sofie Söderqvist, Jeanette Lindström and Josefine Lindstrand. From 2000 Norrbotten Big Band has had a regular collaboration with the national Swedish Radio resulting in numerous jointly commissioned works like Örjan Fahlströms Macbeth "Vägmärken" (Road signs) a piece for voice, trumpet, church organ, chamber choir and big band commemoration the Dag Hammarsköld centennial and a piece by American composer Bob Brookmeyer for Soprano saxophone and 16 players meaning Lennart Åberg and the NBB. As part of the SR collaboration legendary small band music by a number of Sweden's greatest jazz composers like Jan Johansson, Lars Gullin and Börje Fredriksson has been transformed, blown up, to big band format. From 2011 the collaboration with SR has been formalised.